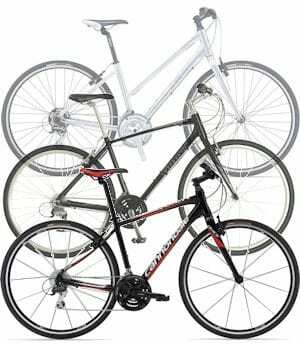 Buying a road bicycle is a commitment by you, but also from us. Most road rides will be 2-3 hours and even more so fit is critical. 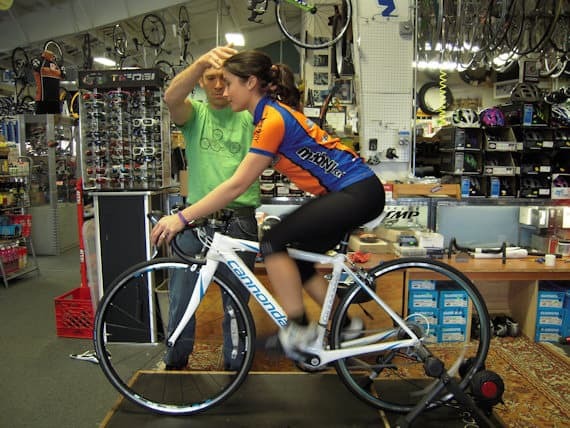 A professional bike fit makes sure that your purchase provides the most appropriate, efficient and comfortable cycling experience within your budget and requirements. Every drop-bar, road-based bicycle – including touring, triathlon and cyclo-cross bikes – purchased from Halter’s is finalized by a fitting session with one of our expert bike fitters, Jason or Don. Bring your usual cycling clothes and shoes. If you need cycling apparel you can choose at the store and if you’ve never considered a clipless pedaling system, now might be the time. 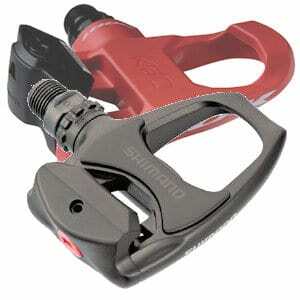 A good fit starts from the feet and clipless pedals enable you to locate your feet consistently in the most comfortable and efficient position. If you’re nervous about that clipped in feeling, or you’re just wondering if it’s right for you, try them out while the bike is safely locked in the stand and you have a little time to practice. After establishing the correct seat height and fore-and-aft position we’ll start work on working out the correct reach to the handle-bars for you. This is dependent on your general flexibility and style of riding. 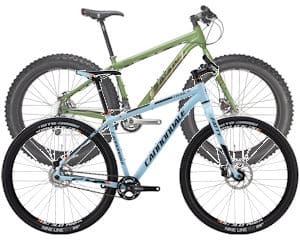 This may involve swapping the stem to get the correct reach and the handle-bars to ensure your chest isn’t either constricted or uncomfortably wide. 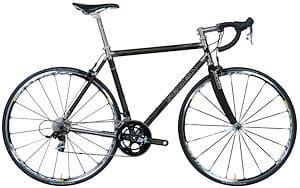 Generally, at each stage components will be swapped out for ones of equal value, but if you have particular requirements, such as a more comfortable saddle or carbon-fiber handle-bars, there will be an extra charge. After a few tweaks the bike will be in a condition for a short ride around the neighborhood of the shop. 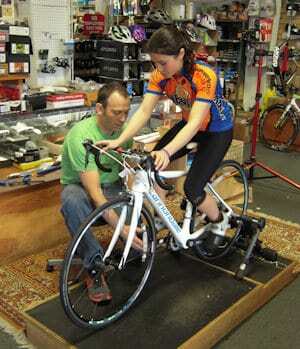 You will be accompanied by your bike fitter who will note your stance and make sure it matches your riding style. 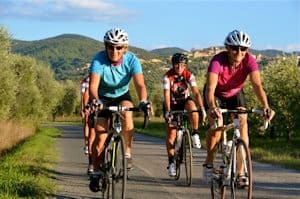 If you’ve never ridden a road bike before they will also coach you on technique, such as gear selection and operation and getting your feet out of clipless pedals – not as intimidating as you might think. During this process you will learn a lot about your new bike, but also about yourself. 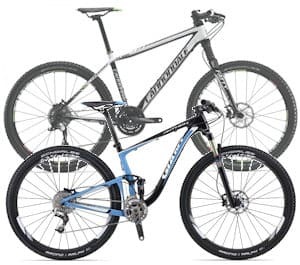 Back at the shop your fitter will make final adjustments to your new bike, and depending on your budget may make suggestions about a different brand or model of bicycle so you can make a comparison. There’ll be no right or wrong. It will be whatever you think is best for you. 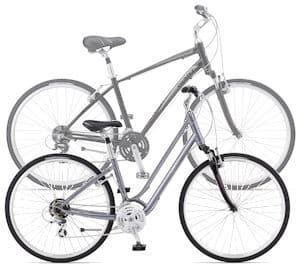 Halter’s philosophy is that it essential to get the right size bike that is adapted completely to you and one upon which you feel completely comfortable and confident. 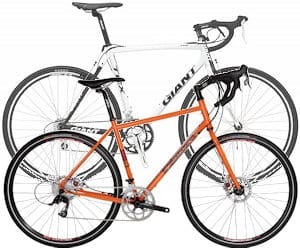 We’re not the sort of bike shop where you look in and walk out of the store ten minutes later with an ill-fitting road bike. It’s not good for you, and it’s not good for us. 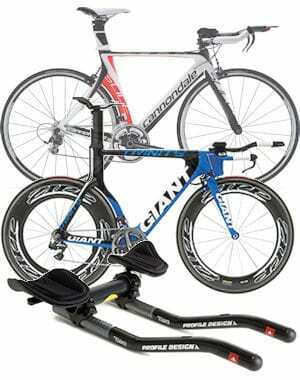 Whether you’re new to road bikes, or an old hand, you’ll need to reserve a couple of hours and make an appointment. Call 732 329 9022 to arrange a time. 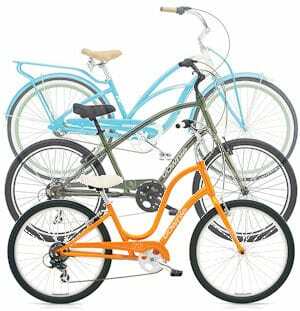 Bike fits are also available for your current bike. Call Halter’s for details.